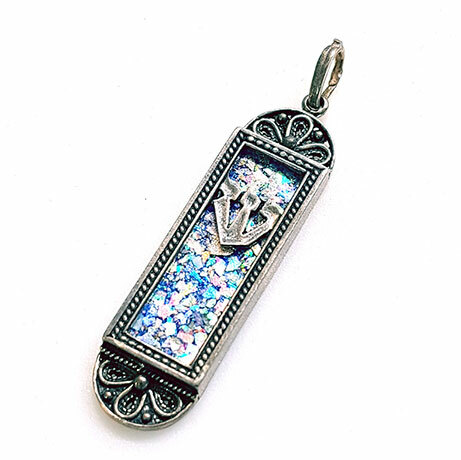 925 Sterling silver Mezuzah pendant with ancient Roman stones. Engraved with an image of the Holy land on this 3D pendant. set with authentic antique glass fragments found by archaeological diggings throughout the Holy Land. A beautiful and meaningful gift for your loved one!